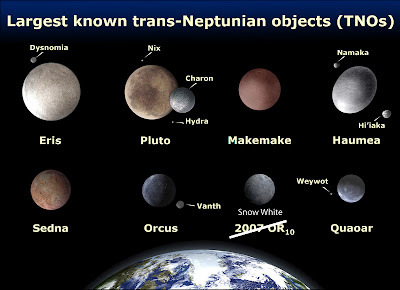 We know that the icy outer parts of the dwarf planet Haumea were blasted into space 4 billion years ago, and we have even found some of these left over pieces. When we find them, they are incredibly bright, not because they have frosts held on by gravity, but because they are essentially pure chunks of water ice with no dark contamination on the outside. What if 2007 OR10 were one of these pieces? The idea that 2007 OR10 could be a chunk left over from Haumea was a little crazy. After all, 2007 OR10 and Haumea were no even vaguely close to each other, while all of the other pieces that we had found were packed tightly into the same region of orbital space. But I knew that some orbits very near Haumea’s pieces were unstable. If 2007 OR10 had happened to land in such an unstable region right after collision, it could have found itself flung out to its current distant orbit. It was a leap, but at least one that we could eventually prove, if it was indeed true. All we needed was to determine the surface composition of Snow White, see that it looked like pure water ice, and then announce success. And as an even easier first step, all we needed to do was to measure the color of Snow White. All of the icy pieces of Haumea are, in fact, white, while most everything else in the Kuiper belt has more of a reddish color. It would be quite easy. As soon as we found that it was white we would pretty much know that we were right. But when we went to the telescope and measured it, Snow White was not white. In fact, Snow White is one of the reddest objects ever found in the Kuiper belt. P.S. I have nearly recovered from the exhaustion of book-related activities and am going to try to restart writing. How will it work? I have no idea. Lilah no longer naps, classes loom, new projects appear daily. But, with luck, I'll be able to sneak out a little time now and then to keep going. I'm guessing (and feel free to correct me if amateurish) that this means that the real size of Snow White (or is it now Snow White's Red Apple?) is much larger than estimated (because, if red, then it should be quite darker than if white... but magnitude remains the same) and that therefore this object could rival Eris and Pluto or at least approach them somewhat, right? Also I'm guessing you're linking it somehow with Eris, which is also one of the reddest objects of the Solar System, second only to Mars. So, awaiting with huge interest part two, indeed. Photolysis products of methane on little Snow White - how did she hang on to methane? Maybe you splattered blood on it that one time you killed Pluto. ;) Looking forward to your return. I have missed your blogs. 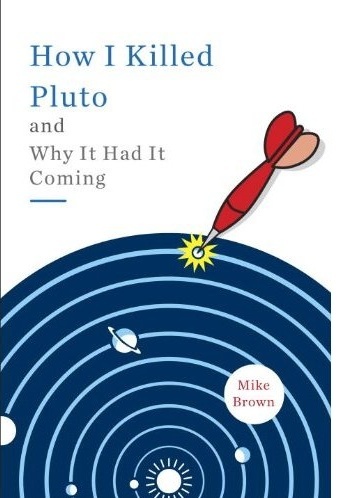 @Catigula, all the clutter out there is *why* Pluto was demoted. It's a large object within a set of objects which share a region, like Ceres is. Hi, I want to ask a question. May I? Why Hauema and Makemake can become dwarf planet so fast, but no further action for Quaoar, Sedna and the others? Welcome back. I was kind of perplexed, so I looked up (225088) 2007 OR10 on Wikipedia. The orbit it's in looks more like Eris than Haumea, only not inclined as much. Snow White's and Eris; years are nearly the same, 551 and 557 years. Eris is also pretty white, so there's no similarity there. Well, you got me hooked. I'm ready for the next article. I like "Snow White" as a name for (225088) 2007 OR10. In the Walt Disney movie, Snow White, lost in the forest, finds friendly animals and soon they get involved with her in cleaning the house of the seven dwarfs. Later, the seven dwarfs also get strongly involved with her. That is a significant theme for a SDO that has the perihelion close to Neptune. What's your take on the Ice Hunters project, where Meg Schwamb is one of the organizers? It's being promoted as a way for any lay person to do what you're doing, hunt for KBOs. Is this really true? @anon Yep. It's for real. Go find 'em! When and what will this dwarf planet be named? I am suprised that after 10 years 2007 OR10 hasnt been named yet, since planets/dwarfs are named based ln what we know about them which in 2007 OR10s case is its the redest object in the solar system. So why not name it Loki?